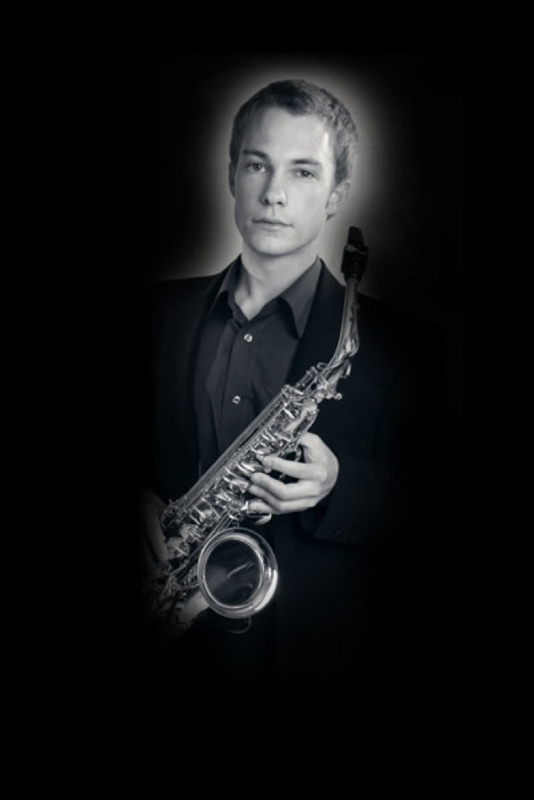 Edward grew up in the West Country, studying the saxophone under prominent tutors and performing in a variety of musical settings. From an early age, he showed a great interest in studying jazz and classical styles on the instrument. Edward was awarded the status of Licentiate of the Guildhall School of Music and Drama for classical performance and later he successfully gained a first class honours degree studying with Duncan Lamont. In 2004, Edward graduated from the Royal Academy of Music, London with a Masters Degree in Music Performance. He studied saxophone and clarinet at the Royal Academy under the instruction of Richard Addison and Martin Speake. Edward now enjoys a busy and varied freelance career performing in prestigious venues around Britain and Europe such as The Hotel de Paris in Monte Carlo, The Royal Albert Hall in London, The 100 Club in London and twice for The Queen! He has also performed with the National Youth Jazz Orchestra and the Bristol Ensemble and has appeared on BBC television’s ‘Born and Bred’. 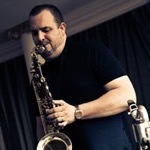 Edward’s teaching commitments include tutoring saxophone and clarinet students at Wells Cathedral Specialist Music School where he holds the post of Head of Woodwind & Jazz as well as running a private teaching practice and jazz improvisation & performance workshops. Edward is also a mentor for South West Music School. 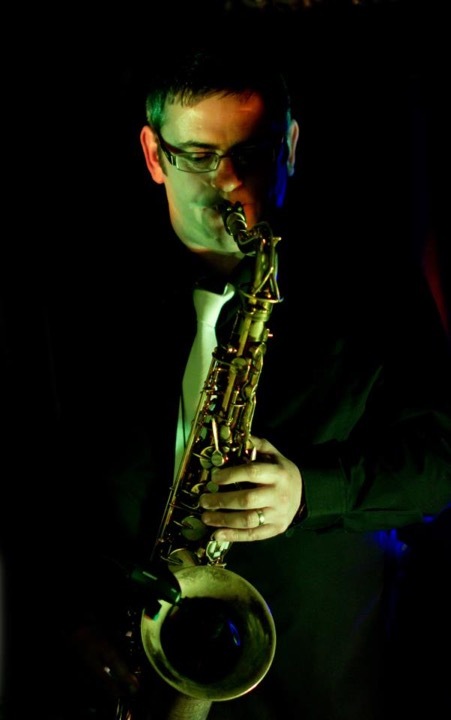 Edward’s own projects include; Swing Machine Jazz Orchestra (A professional big band featuring some of the UK’s top players), Blaze (a ground breaking crossover group comprising saxophone and strings) and The Edward Leaker Band as well as groups for events and functions. 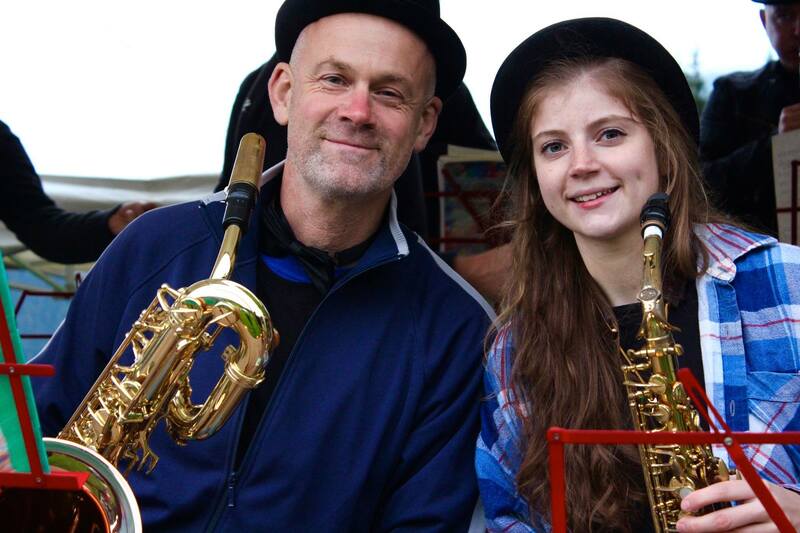 After studying as a specialist clarinetist at Wells Cathedral School, Emily has gone on to play in both classical clarinet and jazz saxophone performances. These have been on both a casual and professional basis, alongside studying Fine Art at Chelsea College of Arts, London. Some performance highlights include the Bristol International Jazz Festival, international music festival ‘Concert en Plain Air’ and orchestral performances at prestigious venues such as the Birmingham Symphony Hall. Emily has also experimented with music in her artwork and exhibitions in London. Steve joined the RAF at the age of 17 and has been a professional musician since this time. He can play saxophone, clarinet and flute and is in a couple of original bands as well as Doctor Chocolate. Steve is the saxophone tutor for the South West Youth Wind Sinfonia and also Conductor of the North Somerset Jazz Orchestra. Andy is an established composer/ orchestrator and multi- nstrumentalist. Experience in film, stage, ballet and opera and concert hall. He worked for 15 years for the film composer Michael Nyman as his composing assistant, orchestrator and editor. He has also worked on projects for Boosey (Imagem), Chester Music/ Musicsales, BBC Symphony, BBC Proms, Covent Garden, LSO, Bournemouth Symphony, Miramax, Film Four, Canal Plus, BBC Radio, Spoleto Festival, Bang on a Can Allstars, National Youth Wind Ensemble. He is at present looking for films as composer and or orchestrator, music editor, album projects as producer/ mixer/ arranger. A founder member of the world famous Bristol Brass Consort and have played for English National Baroque Orchestra, New Bristol Sinfonia , Breckon Baroque ,The Emerald Ensemble, Brandon Hill Chamber Orchestra to name just a few. Keith began playing the trombone with the Burnham and Highbridge Town Band at the age of 8 he soon became hooked and progressed to the County and National Youth Orchetsras and The Ambassadors Band of Great Britain. He went to the City University and studied trombone at the Guildhall under Eric Crees. He started conducting while at university and took on the baton of his local brass band at the age of 21. His first teaching job followed at Priory school in Weston soon followed by joining the instrumental service at Somerset where he is now the Deputy Director. 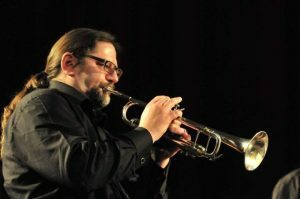 Side by side with his teaching career he has pursued a playing career including performing with the Bournemouth Symphony Orchestra and being a member of the Wilbraham Brass Soloists. He has also been conducting the Somerset County Youth Concert Band since 1991 and takes them on tour each year in July. This year is no exception with a busy tour of Amsterdam in July. 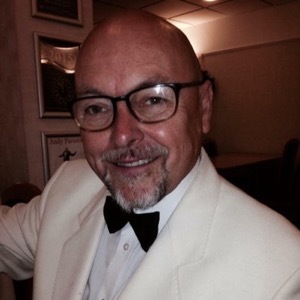 He has performed for many local Choral societies and Operatic Societies mostly at the Octagon Theatre (Yeovil), Strode Theatre (Street) and McMillan Theatre (Bridgwater). This year’s performances have included: 9 To 5, Top Hat, Copacobana, My Fair Lady and Legally Blonde. 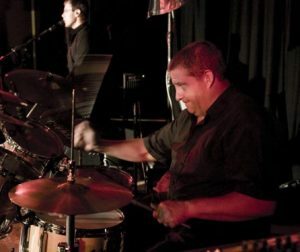 Keith has also been a regular member of Ed Leaker’s “Swing Machine” whose recent performances have included such performers as Pee Wee Ellis, Clare Teal, Enrico Tomasso, Clare Martin, Jason Rebello, Mike Lovatt, Noel Langley and Duncan Lamont Senior. Andy is a consummate trombone player. He graduated from the Royal Northern College of Music where he was awarded the ‘Hiles Gold Medal’ for his orchestral playing, and has since amassed wide experience in all areas of the music industry, both touring and recording with many artistes, including the ‘Shirley Bassey Orchestra’ (over 22 years), Michael Ball Orchestra (over 21 years), Tom Jones, Andrea Bocelli, David Cassidy, Michael Crawford, Russell Watson, Moody Blues, Lionel Richie, Lesley Garrett, Josh Groban, Katherine Jenikns, Wet Wet Wet, The Three Degrees, The Four Tops, Howard Keele, Jeff Beck, Neil Sedaka, Jimmy Ruffin, Michael Bolton, Hearsay, The Temptations, Vic Damone, Frankie Vaughan, Rick Astley, Tony Christie, Sister Sledge, Johnny Mathis, Sasha Distel, Barry White and many, many more. He has also recorded numerous TV jingles, theme tunes and film scores. He played in the Led Zeppelin concert at the O2 and the launch of “Team GB” 2012 at the Royal Albert Hall. He is co-founder and Director of The British Philharmonic Orchestra, and has worked with various Big Bands including: The Nelson Riddle Orchestra; BBC Radio Orchestra; BBC Big Band; The Matthew Herbert Big Band, Syd Lawrence Orchestra; BBC Scottish Radio Orchestra; Glen Miller Band UK and the Joe Loss Orchestra. He played for many years in the West End, holding the trombone chairs in many productions including ‘Fame’, Barnum, Charlie Girl, Movin’ Out, Ziegfield, and Some Like It Hot, and been involved in numerous others including 42nd Street, Starlight Express, Spamalot, Jesus Christ Superstar, Crazy For You, Guys & Dolls, Copacabana, 5 Guys Named Mo, Camelot, Oliver, Carmen Jones, Grease, Saturday Night Fever, Chicago, West Side Story, Me and My Girl, Thoroughly Modern Millie, Cabaret, Sister Act. and more. James began playing the alto trombone at the age of 7 before moving onto the tenor trombone. His first teacher and inspiration was his father. 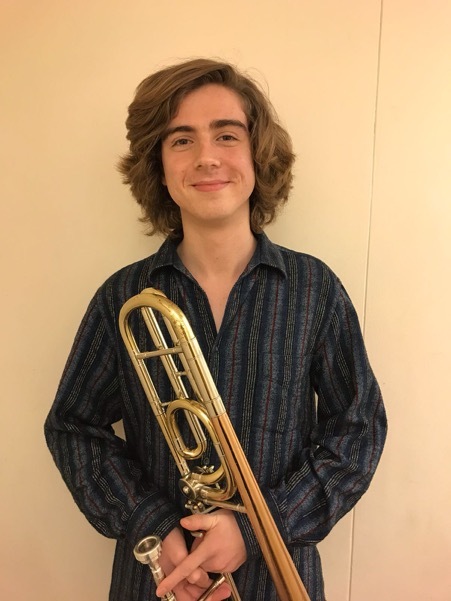 After winning some local competitions and playing a solo at Strode College, he secured a music scholarship at Hazlegrove Preparatory School aged 10. Here he became music prefect, performed many solos and ensemble repertoire. Tutored by Andy Fawbert, his brass quartet won the prestigious Pro Corda National Chamber Music Competition in 2011 and went on to perform at the Wigmore Hall in London. At the age of 12, he became principal trombonist of the Somerset County Youth Concert Band where he played Morceau Symphonique as a soloist. He achieved grade 8 distinction on trombone and at 13, was awarded a Specialist Music Place at Wells Cathedral School. Here he has been taught by Alan Hutt, Emily White, Andy Fawbert and Andy Harwood White. He has received masterclasses from Ian Bousfield , Kevin Price, Roger Argente, Kevin Morgan, Katy Jones, Miguel Tantos, Laura Jurd, Michael Buchanan, Helen Vollam, and workshops with the WNO low brass section and the BSO trombone section. 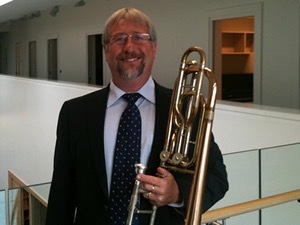 His instrumental learning has also included the euphonium with Andy Fawbert and sackbut and German trombone techniques with Emily White, as well as playing the piano and drum kit. He is currently principal trombone in trio, quintet, octet, ten piece, large brass/cathedral brass, Wells Cathedral Symphony Orchestra, jazz combo, jazz orchestra, Somerset County Youth Concert Band as well as singing regularly with the Barbershop Singers. He reached the category auditions stage of the BBC Young Musician of the Year as well as the final round of the Two Moors Competition. He has performed at the Bristol Jazz festival and the Glastonbury Extravaganza. Professional engagements to date include a week long production of the Wizard of Oz at the Octagon Theatre (Castaway Theatre Group) and the Kingsdon Big Band (Kingsdon Festival). At Wells he has undertaken outreach work at the inaugural Wells Cathedral Music Summer School. He has also supported and mentored young players in the SCYCB junior courses and played in the Fawbert Schuss Big Band, performing in the French Alps each summer, raising money for cancer charity. Andy has an impressive CV as a professional performing musician as well as in teaching. Andy has performed with all of the symphony and chamber orchestras in London, as well as many of the UK’s leading brass ensembles including, The Wallace Collection, London Brass, Fine Arts Brass, recorded many film soundtracks which have included Gladiator, Lord of the Rings, TV shows such as The Michael Parkinson Show, The BRITS, plus he has been a professor at The Royal College of Music, Birmingham Conservatoire and The Royal College of Music Junior Department. He has recorded with the world’ leading artists including Barbra Streisand, Liza Minelli, The Who and Pink Floyd to name just a few. Andy is also a member of The Michael Nyman Band. He was made an Honorary Member of the Birmingham Conservatoire of Music in 2002. Johnny was born in Morcombe in Lancashire and started playing drums at the age of 9. 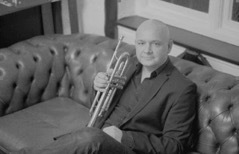 He has played for some top brass bands such as Ferry Engineering and Leyland Vehicles. Johnnie studied music at Salford College Manchester and studied percussion with John Moates, Symphonist of the Halle Orchestra and he rehearsed with them regularly. Johnny is a freelance musician and has been since the age of 17 playing with artists such as Norman Wisdom, Frankie Vaughan, Cannon an Ball, Jimmy Cricket, Jim Bowen to name but a few. He has done pantomimes and shows all over the country. Joining the RAF as a musician from 1983 until 1999 Johnny has travelled the world and has had trips with Her Majesty the Queen. Since leaving the RAF Johnny is now a Lecturer of Music at a local college and a gigging musician. Johnny has 3 children Sam, Dave & Otis – as well as a goldfish! Johnny likes playing with the chocs as he never knows whats gonna happen next! After studying music performance and advanced vocal technique to degree level in Manchester, Heather’s reputation as a vocalist has gone from strength to strength, delighting and enchanting audiences wherever she performs. Heather’s extensive performing experience ranges from five star hotels in the Mediterranean to jazz clubs and session work, performing bossa nova, soul, jazz, folk and big band swing. Influenced by artists as diverse as Ella Fitzgerald, Nina Simone and Chaka Khan, Heather has developed her own unique and unforgettable singing style. Heather’s own band ‘The Heather Wensley Quartet’ has taken her all over the UK and abroad performing for festivals, arts centres and private clients including; Jasper Conran, Harvey Nichols and many exclusive hotels. She also performs as a guest with the popular ‘Swing Machine Jazz Orchestra’ which features some of the top musicians in the Country. Heather is available for all types of vocal session work or you can book her with her band.